Fire on the Mountain: FotM Is 1! 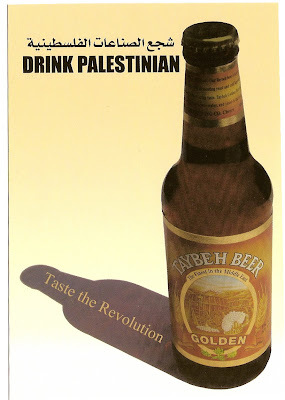 Taste the Revolution! I had hoped to post something on December 1, which marked the actual first anniversary of this column, but I was out of the US at an anti-war conference in the UK and am now in Norway to attend a seminar being held in memory of Tron Øgrim, the Norwegian Red and polymath I mourned here in May. "I know, there is in Socialist Party circles an assembly of mockers. They deride aught that savors of sentiment. But we heed not their scoffing. We will not permit them to outface us. A songless Socialism is a wrangling, contentious, dismembered thing. A singing Socialism will be a socialism triumphant." As the above suggests, this blog will try to avoid dry dogma and nit-picky polemic, plus which it will have a bunch of stuff about music, and culture more broadly. Let us know in the comments section if you think that vow has been kept, and what else you'd like to see in future posts. 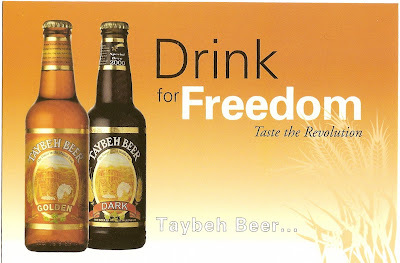 Most of the underage drinking I did was Taybeh (the light lager variety). It's pretty good, though it generally comes in small bottles. That's what comes of living in East Jerusalem from 13-18. BTW, I don't think I've thanked you for your comments on female leaders in "actually existing socialism" on my now defunct blog.